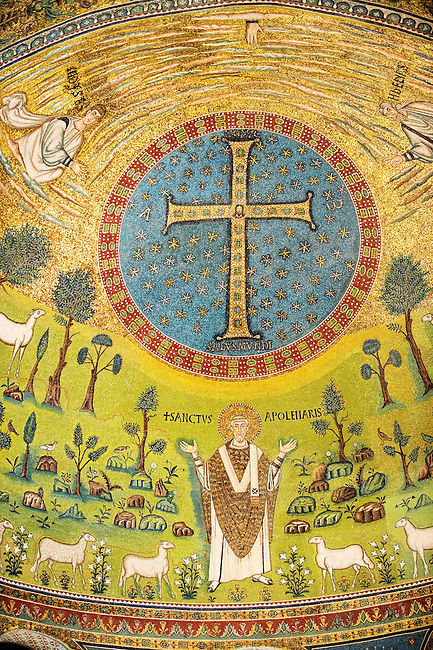 Detail of the Apse Mosaics with a simple Orthodox crucifix and a depiction of St. Apollinare. 6th century AD Byzantine Roman Mosaics of the Basilica of Sant'Apollinare in Classe, Ravenna Italy. A UNESCO World Heritage Site.